Science was never my thing at school – my proudest achievement was wiring a plugin Physics when no-one else in the class could – not even the boys. I always admired the girls who got it – science that is – and put them on a pedestal as being the brainiest of the brainy kids, particularly because science was a ‘boys’ thing in my generation. So when I read about Dawn Childs being recognised as one of the Barclays Women of Achievement for engineering I was intrigued and excited. This woman was amazing – she had spent 23 years in the RAF as an Engineering Officer, in fact, she had been Head of Engineering at an RAF base with her prime responsibility looking after all the spy planes. How can you not be inspired by someone like that – a woman looking after the nation’s spy planes? 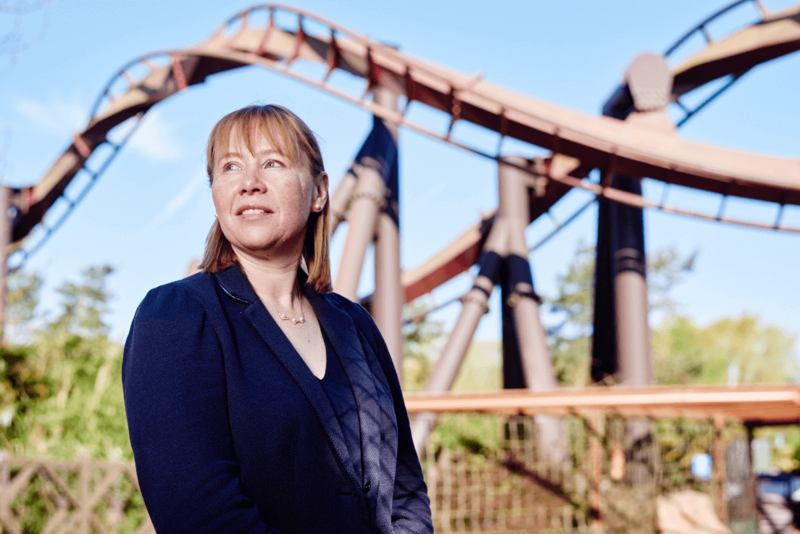 Now, having left the RAF and becoming the first woman Head of Engineering at a major international airport (Gatwick), she is Group Engineering Director for Merlin Entertainments Group. She is no longer looking after aircraft, rather the engineering standards, practices and processes for rollercoasters and rides at more than 100 theme parks worldwide – her career has to be right up there in empowering womankind. Has she got resilience? Of course, she has. There is no way you could survive, let alone progress, in this male-dominated profession unless you are tough. Has she experienced sexism? Of course, she has – someone in the military once asked her if she was attending a meeting to take the notes when, in fact, she was leading it. She is the epitome of success and achievement, a trailblazer in a male-dominated world of engineers – that has to be celebrated and applauded for the next generation of women engineers. The point of telling you about Dawn is that she is not unique. I guarantee you will come across someone like her during your career – I have, and she has been invaluable to me in my progression. When you meet your version of Dawn, observe her, learn from her, gain confidence in your ability from her, adopt her style if it resonates with your own, learn to trust your judgement and instincts and don’t be afraid to fail. All these elements will inspire and empower you in whichever world you work in.